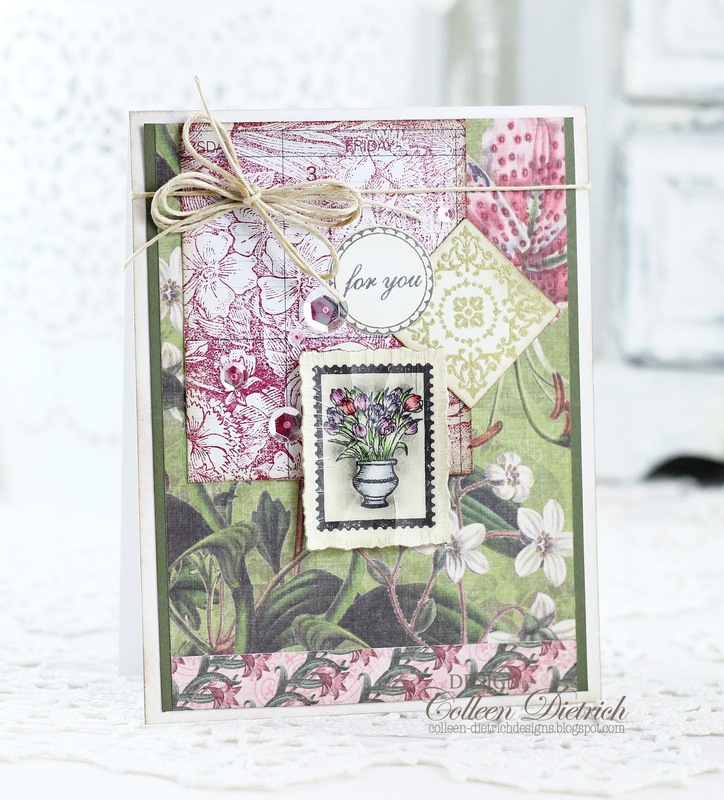 Lots of flowers make appearances on this eclectic card. 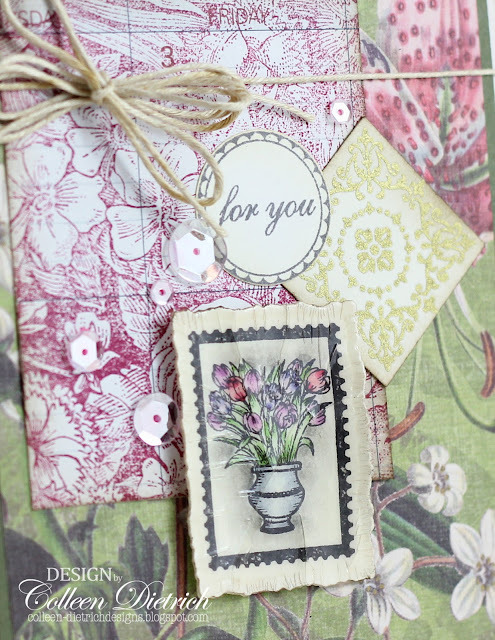 The background patterned papers are from K & Co., and there's a panel of recycled calendar paper behind the sentiment. 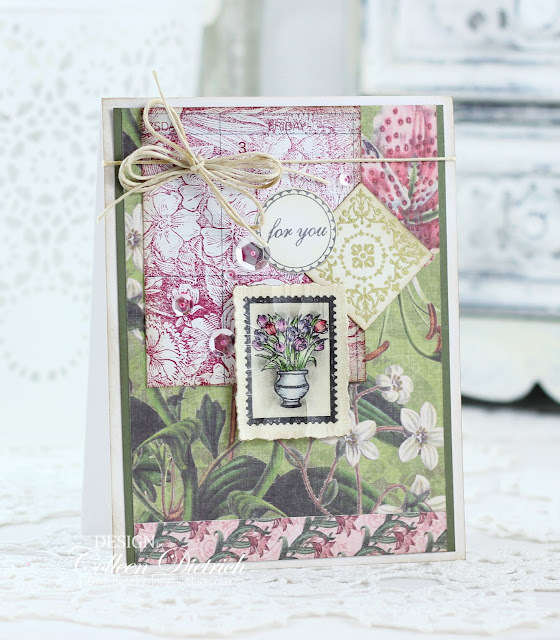 I used an oldie but goodie Floral Background stamp from Stampin' Up! in Purely Pomegranate ink on the calendar piece. The gold-embossed medallion is from SU's Simple Delights. The sentiment and tulip postage stamp are from Inspired By Stamping. I have repurposed the tulip postage stamp from this magnet project, and also used a couple of them here. The focal point was covered in Crackled Glossy Glue from Ranger, to give it a weathered look. Instructions are on this original post. A beautiful mix and it all goes together perfectly! Nice recycling of the calendar paper. I remember your magnet project and they're all so pretty! Love the crackle. Nice that you can just pluck them off the refrigerator after a time and use them on a card. Great mix of papers and love the multi-looped bow!